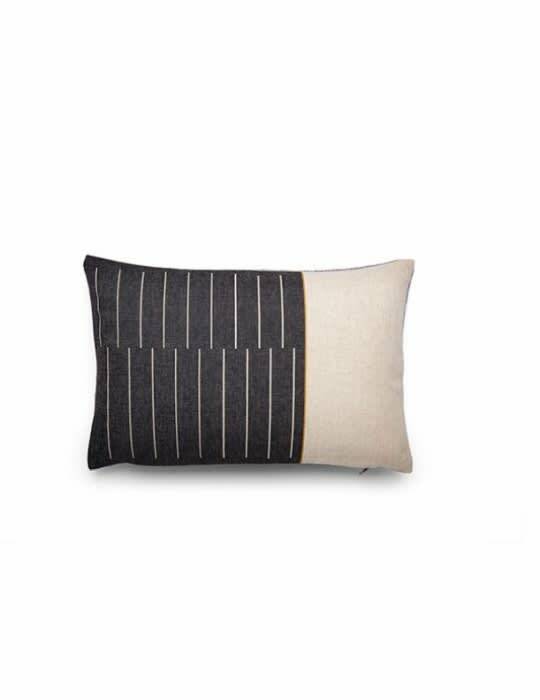 Fest Smoke cushion from the Crush cushion collection by Mae Engelgeer. The front is black with soft pink / gray with gray lines. The back is gray with small black stripes. Supplied with duck feather filling. Yes, we've got a crush on Mae Engelgeer. We just love her graphic textile designs.